New for 2018, here is the BOAC Blue Special Edition Traveller's Notebook. This one is quite personal for me. 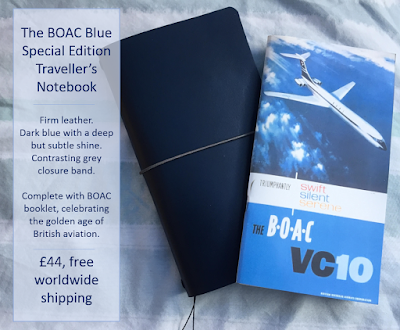 My grandfather used to work for the BOAC airline many years ago, so it was the obvious choice of golden-age British airlines to complete this edition.